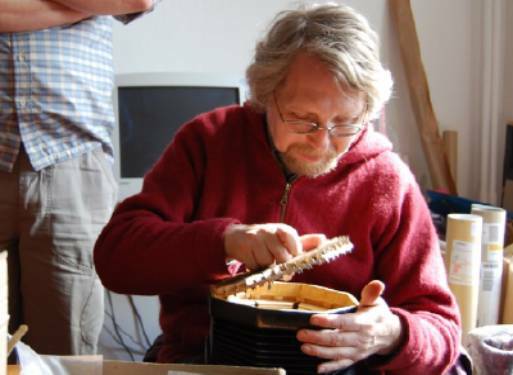 The sound of a concertina is determined ultimately by the workmanship and the materials used. Suttner Concertinas are handmade to the highest standards. All together about 1000 individual parts are manufactured and assembled. Each reed is individually made from hardened steel, mounted in a brass frame and finally tuned by hand. The reed pan is made from maple and the bellows of high quality leather. For ease of playing the most important feature is a precise action. The valve leathers and springs of a Suttner Concertina are manufactured with such meticulous accuracy that a smooth and easy action is guaranteed. 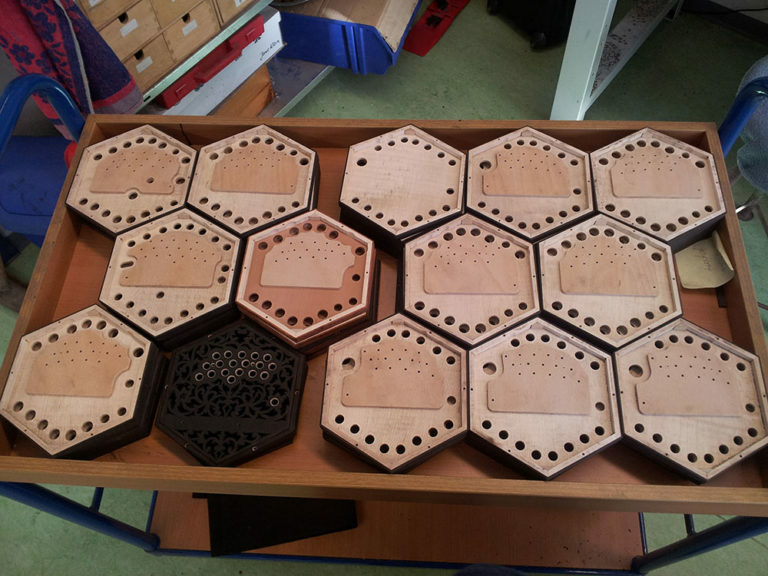 I design and build my concertinas according to the historical models of Wheatstone and Jeffries, although my instruments are unmistakable in appearance as the characteristically decorative feature of each instrument are the endplates. The filigree ornamentation is sawn out according to the old original patterns, using materials such as German silver, ebony or rosewood, depending on the model. 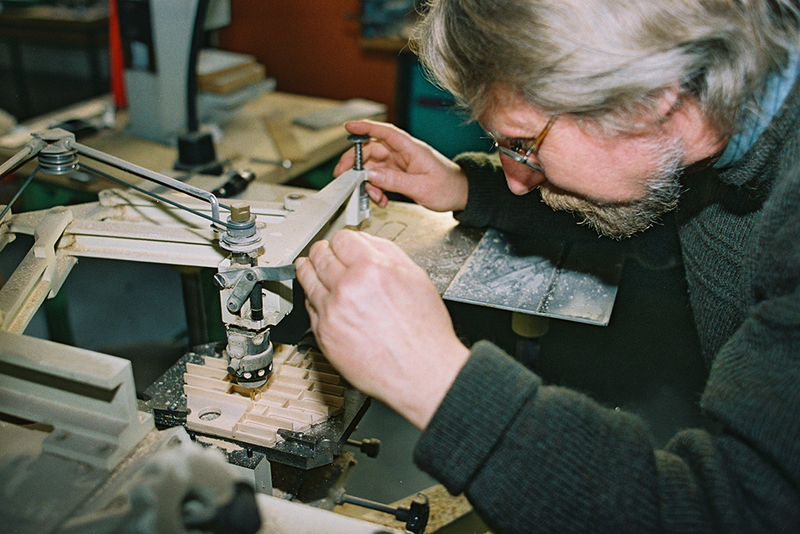 For many years now, I have been gathering experience in building and restoring historical instruments. Careful craftsmanship and the continual refinement of the smallest details to improve the sound make Suttner Concertinas quality instruments of the highest standard.